At Memphis Made Brewing, we try to give back to our community as much as possible. We try to focus on our local community first, but it's time to look a little further out at our extended community, our Craft Beer Community. The Camp Fire wild fire in California has been the worst in history and to help with the recovery efforts, Sierra Nevada Brewing has organized the Sierra Nevada Camp Fire Relief Fund. 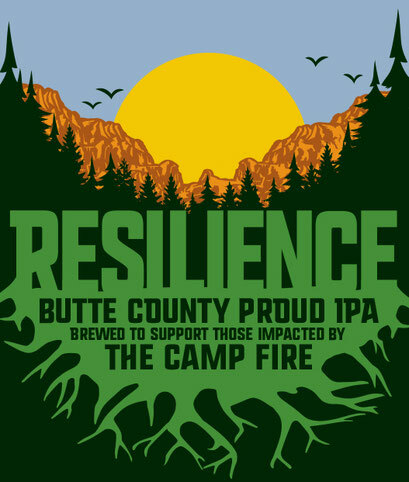 Participating breweries will brew their own batch of Resilience IPA and serve it in their taproom, with 100% of the proceeds going to the Sierra Nevada Camp Fire Relief Fund. We're doing our part by brewing up a 10 barrel batch which will be available in the taproom mid-December. Please come out and raise a pint with us. Resilience IPA will be available while supplies last. Who knew drinking a little beer could help so much?